The video is well produced and cleverly constructed, designed to look measured and reasonable rather than yet another shoddy hit job in the ongoing climate wars. Hence the alarmists’ preference for the land and sea-based temperature datasets which do show a warming trend, especially after the raw data has been adjusted in the right direction. Climate realists, however, counter that these records have all the integrity of Enron’s accounting system or of Hillary’s word on what really happened in Benghazi. 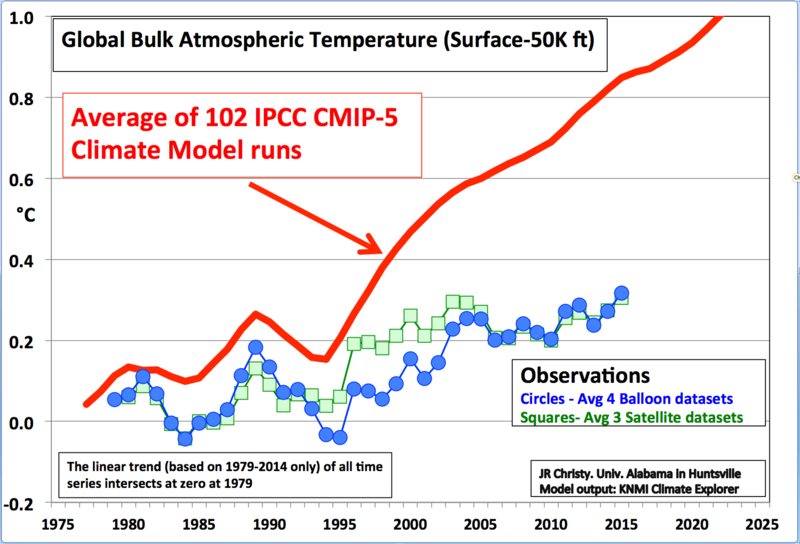 Given the embarrassment the satellite data has been causing alarmists in recent years - most recently at the Sen. Ted Cruz (R-TX) “Data or Dogma” hearing last December - it was almost inevitable that sooner or later they would try to discredit it. What it shows is how closely the satellite data corresponds with measurements taken using a completely independent system -balloons. If the satellites are lying then so are the balloons. There are too many problems with the video on which to comment, but here are a few. 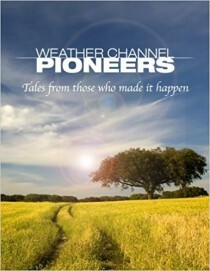 First, the satellite problems mentioned here were dealt with 10 to 20 years ago. Second, the main product we use now for greenhouse model validation is the temperature of the Mid-Troposphere (TMT) which was not erroneously impacted by these problems. The vertical “fall” and east-west “drift” of the spacecraft are two aspects of the same phenomenon - orbital decay. The real confirmation bias brought up by these folks to smear us is held by them. They are the ones ignoring information to suit their world view. Do they ever say that, unlike the surface data, the satellite datasets can be checked by a completely independent system, balloons? Do they ever say that one of the main corrections for time-of-day (east-west) drift is to remove spurious WARMING after 2000? Do they ever say that the important adjustment to address the variations caused by solar-shadowing effects on the spacecraft is to remove a spurious WARMING? Do they ever say that the adjustments were within the margin of error? Among the beneficiaries of Grantham’s green largesse are Lord Stern - author of the heavily discredited Stern Report, now with a cosy sinecure at the Grantham Institute - and Bob Ward, a failed paleopiezometrist and crop-headed pit bull impersonator who is lavishly funded to write angry letters to newspapers and other institutions explaining in boring detail why climate change sceptics are evil and wrong. As for the motivation behind this well-funded smear video - it’s actually explained at the website which is promoting it. 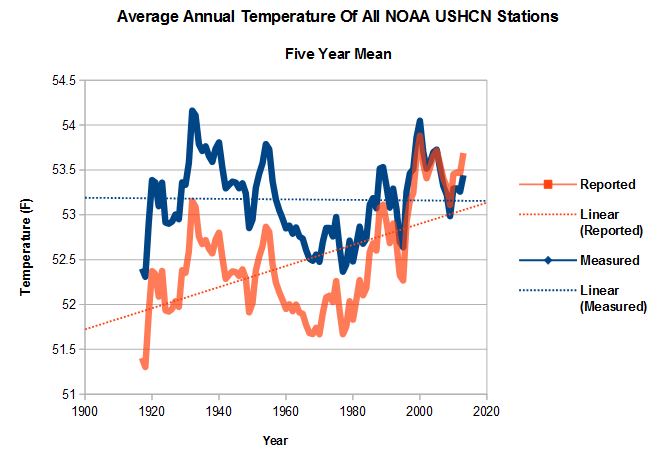 See also in this Daily Caller story with Dr. Richard Lindzen disputing claims this is the warmest year.